Dorset Wildlife Trust (DWT), the National Trust and RSPB have teamed-up to showcase Poole Harbour, its islands and the spectacular wildlife that can be found there, with a series of bird boat trips from September 2017 – February 2018. Poole Harbour boat trips return this winter with the first being a special osprey cruise on Sunday 3 September up the Wareham Channel and in between Shipstal Point, and Long and Round Island. Poole Harbour is a regular stopover for ospreys heading south at this time of year. 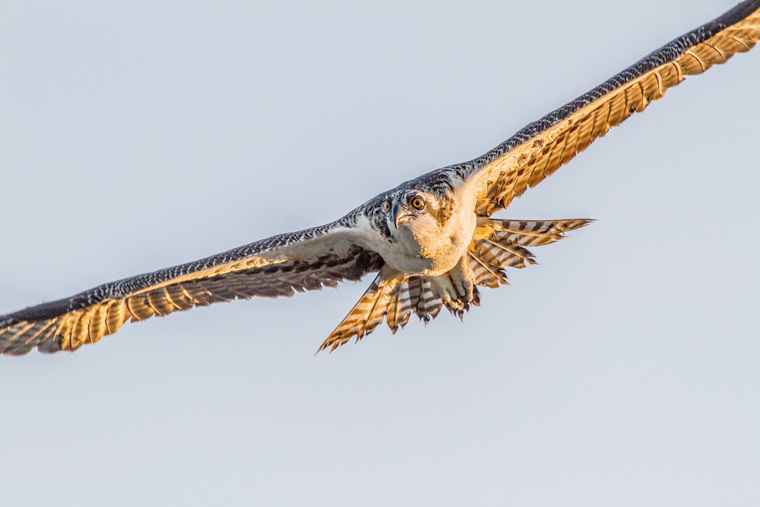 Following this year’s introduction of additional osprey chicks to the area in the hope of encouraging breeding, this is a great chance to look for these magnificent birds of prey and many other birds, from terns to migrating waders. The Poole Harbour bird boat trips provide a rare opportunity to view one of the best winter bird spectacles in the UK. Over 20,000 birds visit Poole Harbour each year to feed and roost, including Britain’s largest over-wintering population of spoonbills and the largest flock of avocet in the UK. Large numbers of birds of prey, including marsh and hen harrier, peregrine falcon and merlin can also be seen. Some trips will also include a landing on Brownsea Island, which is owned by the National Trust, where visitors will be able to explore the island and visit the DWT nature reserve, with hides over-looking the lagoon, for a closer look at the bird activity. There are a variety of dates to choose from: Harbour Cruise only (2.5 hours; £17 adult, £7.50 child) Sunday 3 September 2017, Saturday 13 January 2018, Sunday 4 February 2018 and Friday 16 February 2018. Dates for harbour cruises with Brownsea Island landing (4 hours; £22 adult, £10 child) are: Saturday 25 November 2017, Saturday 9 December 2017, Saturday 6 January 2018 and Sunday 21 January 2018.